Water Cannon Salute!!! Turkish Airlines TK 060 arrived at Gate C2 of KL International Airport (KLIA) at 4:50pm yesterday. The flight TK060 departed Istanbul Atatürk Airport Turkey at 1:15am (Istanbul time) for Kuala Lumpur, representing the first Turkish Airline flight to Kuala Lumpur since 2002, when flights were routed via Bangkok. 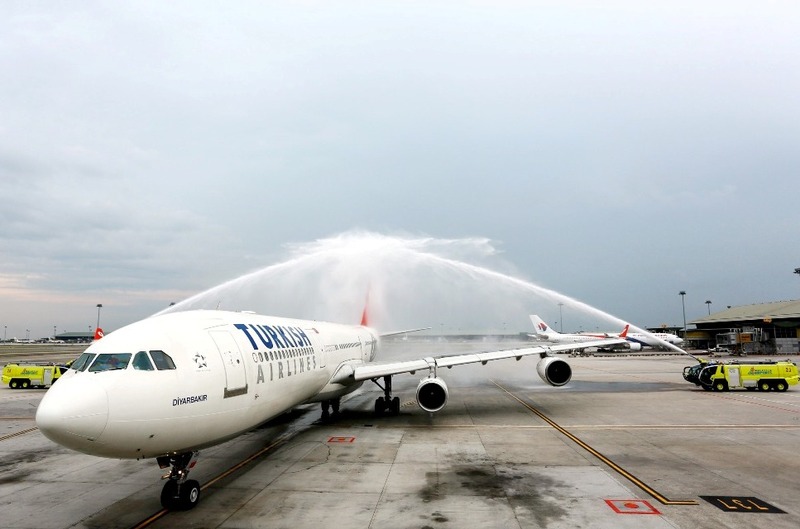 Turkish Airlines inaugural flight to Kuala Lumpur via A340 - 300 aircraft had a total of 270 passengers and 9 crew members on board. Among the VIPs on board the flight were Ismail Gercek, Member of the Board, Turkish Airlines, Mehmet Nuri Yazıcı, Member of the Board, Turkish Airlines, Ahmet Olmuştur, Senior Vice President for Revenue Management, Turkish Airlines, Ufuk Ugur, Vice President, Marketing and Sales, Asia and Far East, Turkish Airlines and Y. Bhg. Dato’ Mirza Mohd Taiyab, Director General of Tourism Malaysia. 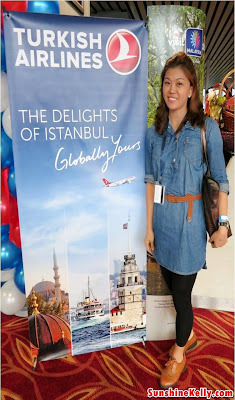 Starting from 25th April 2013, roundtrip flights between Istanbul and Kuala Lumpur 3 times per week on Mondays, Thursdays and Saturdays. 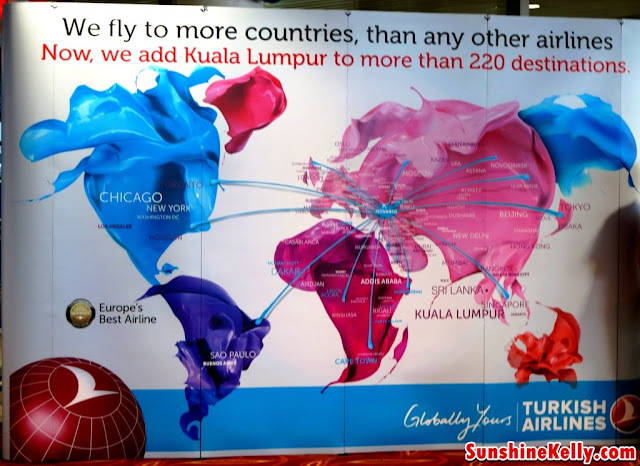 Introductory round trip fares are available from Istanbul to Kuala Lumpur starting from RM 2,140 (including taxes and fees). 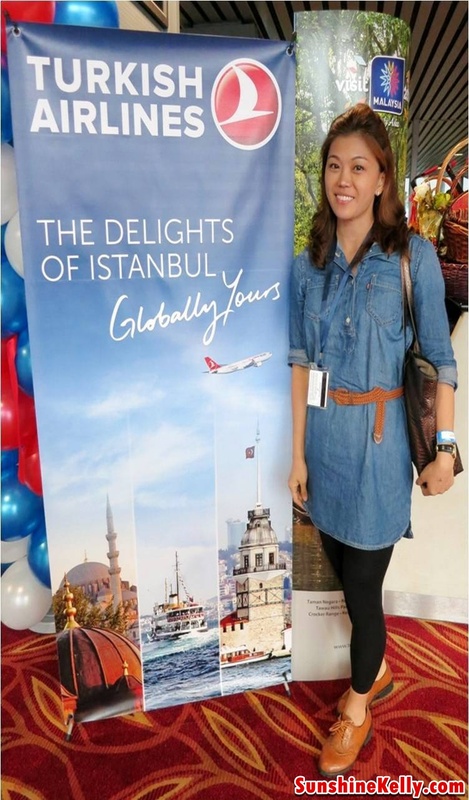 Turkish Airlines also offers access to the exclusive and renewed CIP Lounge to its business class passengers, as well as Miles & Smiles Elite, Elite Plus card holders and Star Alliance Gold membership card holders. The CIP Lounge, which is located in the international departures of Atatürk International Airport, Istanbul, offers amenities such as private relaxation rooms, showers with special toiletry kits, billiard hall, library, and a business centre. 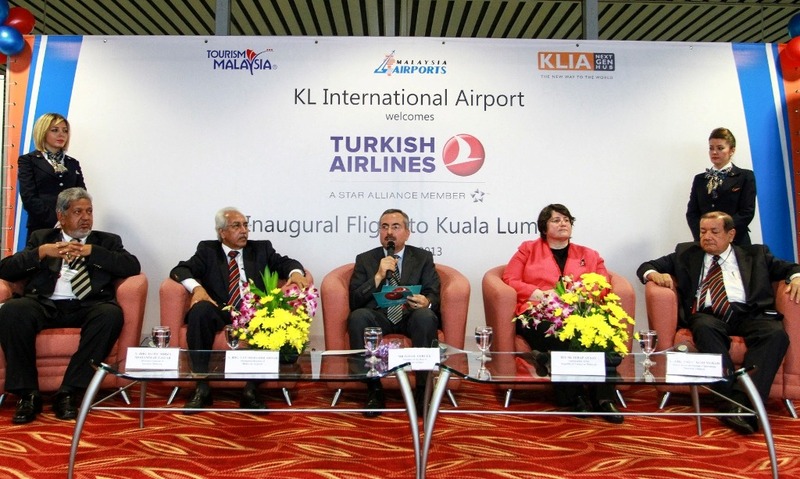 Flights between Istanbul and Kuala Lumpur will be increased to four times weekly with the addition of a Wednesday flight beginning 17th June 2013. To view the flight schedules, please visit www.thy.com, or contact Turkish Airlines call center at +90 212 444 0 849 or visit any Turkish Airline sales office.